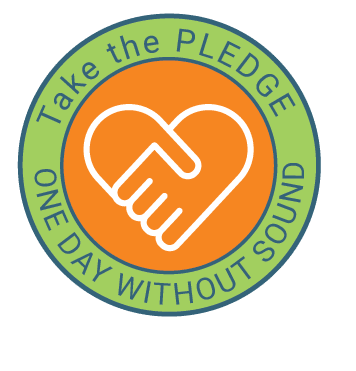 Join Us - Take the Pledge! Our hearing is precious. It connects us with friends and family. It enhances our life and learning experiences, both as children and adults. It can be essential for school and the workplace. Hearing loss has been directly linked to delays in communication development in children and may impede academic achievement. It also has been linked to social isolation, dementia, Alzheimer’s disease, and even reduced earning power. Taking one day to recognize how difficult it is to have a hearing impairment gives us a chance to consider the ways we take care of our hearing throughout the year, in all types of potentially harmful listening situations. Earn points and top the Leaderboard by completing the challenges AND by recruiting others to take the pledge, making social media posts, and by sharing.